This round toe flat delivers a fresh twist on a classic silhouette, featuring laser cut details and an ultra comfortable fit. These flats are very comfortable with the memory foam insoles. Cute and stylish for spring and summer. 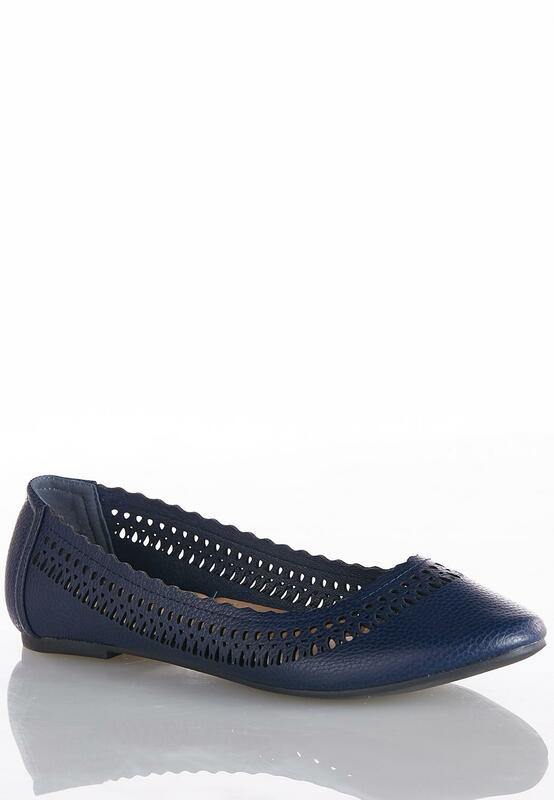 I have been looking for cute navy flats for years! So hard to find. These shoes are so so cute and comfortable. The memory foam in them make them so comfortable as well as the soft leather like material. Thank you Cato for helping me end my search for cute navy shoes! I love them! I may buy a second pair!